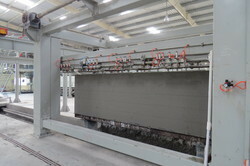 We are the leading supplier of AAC Panel Plant made available to our clients at competitive prices. 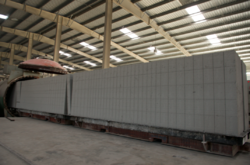 We are the leading supplier of Autoclave Aerated Concrete Block Plant made available to our clients at competitive prices. We are the leading supplier of AAC Panel Machinery made available to our clients at competitive prices. 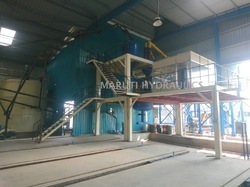 AAC Block Plants Manufactured In India by Maruti Hydraulics Pvt Ltd. AAC Block Plants Manufactured and Supplied are of highest engineering quality which meets international standards. 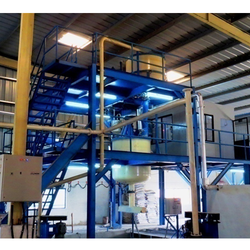 AAC Plants can be installed of different capacities, from 30 cubic meters per day to 750 cubic meters per day. 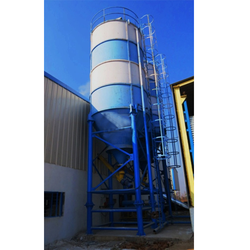 AAC Plants Raw material and Batching section consist of, Cement Silo, Lime Silo, Gypsum Silo, Flyash Silo or Pond Ash Loading Screening and Transfer system. 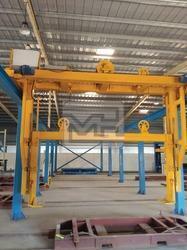 AAC Block Machines manufactured by us are designed as per the capacity of each plant. 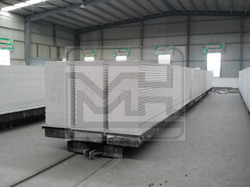 Aac Block raw materials are safely and accurately transferred to prepare an accurate mix of AAC Blocks every batch. 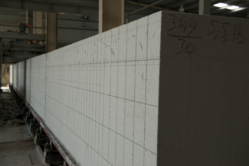 So all the AAC block Manufactured by Our AAC machines are consistent in quality. 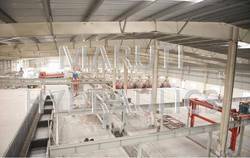 AAC Plant Pre curing section is covered section of the plant, where a constant temperature is maintained for the stable rising of AAC Block green cake, Every cake is consistent in arriving at its Cutting Strength. 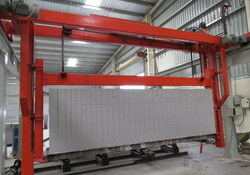 Mould removal System, we have to two different machines, First is AAC Block Mould Lifter. 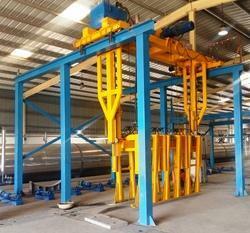 AAC Block Mould Lifter is used and AAC Block Plants up to per day 150 cubic meters capacity to Manufacture AAC Block. 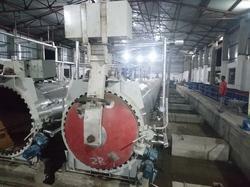 Second is AAC Block Mould Tilting and Removal Machine, is used in AAC Block Plants up to 750 cubic meters per day. These machines are designed and manufactured to the highest quality standards, assures smooth and damage free AAC block green cake. All our Aac Machines are sturdy, with accurate movement systems and efficient dynamics. 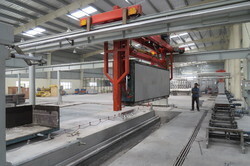 AAC Block Wire Cutting Machine, This AAC Block Machine is the one of the most Important section of AAC Plant. 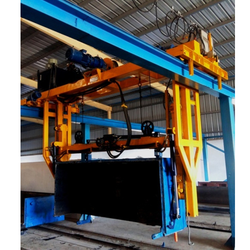 Our AAC Block Wire Cutting Machines is Easy to Operate automatic and Most reliable in the Indian market. 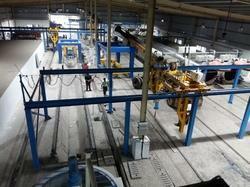 Our AAC Plants have a guaranteed output with the highest Quality. 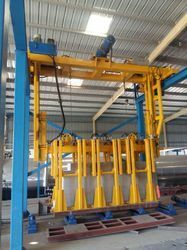 Our AAC Block Plants are installed with Sturdy and smooth mould transfer systems, The Cranes and trolleys are designed with advance hydraulics and Gear systems, Proportional valves and latest electronic control systems. 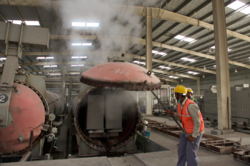 The Autoclaves for AAC Block Plants are 100 % tested to quality parameters, with SAE 516 Gr 70 plates, Our AAC Autoclaves are most reliable for quality. Our In-house manufacturing facility ensures timely delivery and control. We supply best quality AAC boilers Standard, package type, Smoke tube water tube with Skid type mounting for pre heaters and FD. 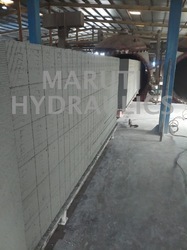 Please contact us for more details on AAC Block Plants. 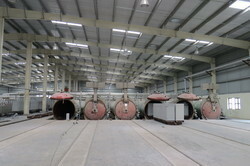 Please contact us for more details on AAC Plants. Precise controlled hydraulic machine for fast and easy removal of complete ready AAC block of any size ,so the base plate is free for batching cycle. 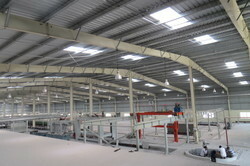 Smooth Operation and movement controlled with electrical gearhead system. 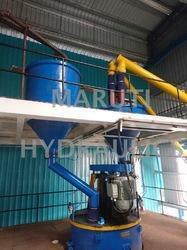 Depending on the Plant capacities and availability of raw material the storage capacity of the Silo is selected. Capacities 30 tons to 200 tons. 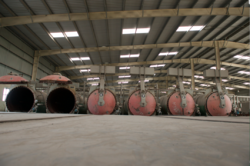 Depending on the AAC Plant capacity and availability of raw material the storage capacity of the Silo is selected. Capacities 30 tons to 200 tons. 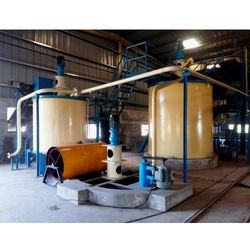 Our All AAC Block Machine and Equipments, supplied for manufacture of Autoclaved Aerated Concrete are incorporated with latest technologies , maintaining high quality standard . 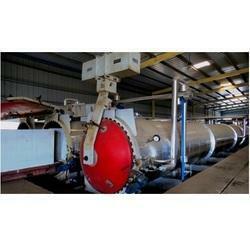 We are the leading supplier of Autoclave Curing made available to our clients at competitive prices. Application Cement Industries, Glass Industries, Mineral Industries. Steel /Ferro Alloys Industries. 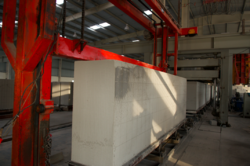 For AAC blocks manufacturing, the entire dosing and mixing operation is completely automated and requires minimum human intervention. This entire operation is monitored using control systems integrated with the computer and automated feedback mechanism. As with any industrial operation, there is provision for human intervention and emergency actions integrated inside the control system. 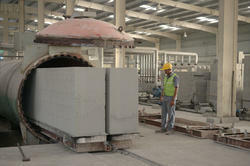 After completion batching cycle the mixture is fed into the molds for procuring/hardening process. Our Man-machine interface allows the user to communicate with the machine efficiently and easy to understand SCADA screen make this complex AAC Batching System simple. The system has automated water, aluminium and temperature control system, with interlocked Discharge for absolutely zero wastage due to cycle. 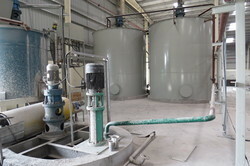 For transfer of Slurry from the Pond mixer to Slurry storage tanks. Applications Tilting the component automatically from one direction to another direction for loading to SPM. The mould shifted via a mould shifting trolley to the demoulding area, a precise demoulding crane and AAC Tilting Machine, turn the mould with green cake via 90 degrees to release the green cake on the base plate and empty mould is refitted with a new base plate for batching cycle. 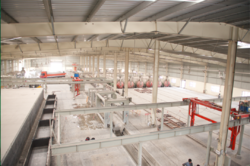 The Two-stage wire cutting machine assure Precise quality and size of cutting, We being the pioneers of inventing the textured finish to the block with our Cutting machine has certainly become a boom for Plaster and Gypsum application. Smooth Operation and movement controlled with advanced Electronics. Hydraulic Operated with Mechanical Precision System, Makes sure that no mould is damaged, Hydraulics tilting arrangements and up-down movement for mould demould run smooth and effortless. Base plate refitting is accurate for each cycle. Pressure Vessel made from Special Boiler quality SAE 516 Gr 70 material, welded and 100% radiograph test is conducted for Complete Safety assurance. AAC Autoclave is fitted with Safety Valves, Condensate Removal Valves, and Are Insulated with Best quality insulating material. One touch Autoclaving Cycle controlled by our high-end PLC based Control system, that gives you a perfect cycle, with safety assurance. You can easily track the autoclave cycle with graphical presentation and customized reports. 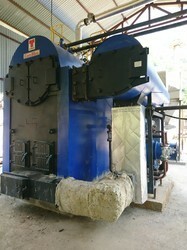 It can precisely control the steam transfer and exhaust cycle. 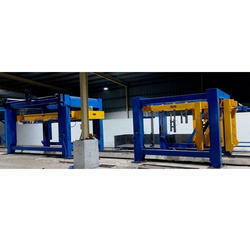 Two stage Horizontal and Vertical Cutting machine, Pneumatic Wire Tensioning , Variable speed automatic cutting operation as per the hardness of the Block. Variablee Frequency Drives and Advanced PLC Controllers with Touch Screen Monitoring System.